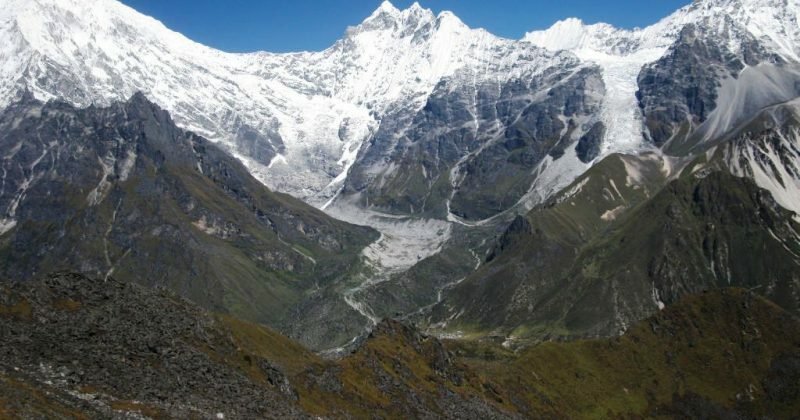 Langtang Valley Trekking is a moderate trekking with us leads to a great classic adventure towards central Himalayan region at Langtang Valley. Langtang Valley Trek starts from Kathmandu by bus to Syabrubesi to begin this great adventure towards Langtang Himal area, taking the direct approach via the Langtang khola, then trekking for days on gradual winding path through the dense forest of oaks, birch, pines and rhododendron, to reach at Kyangin Gompa 3,749m. 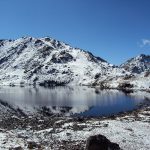 Kyangin is a perfect base for acclimatization in a beautiful surrounding of high snow covered mountains and plan explorations and climbs of the upper valley. 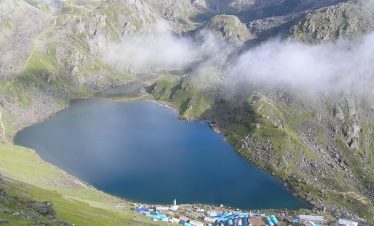 Langtang area offers a range of cultures with the main three ethnic peoples living in are the Tamang, and Bhotias who have originated from Tibet in the past 500 years till the mid 20th century. In a southern section of the park lies a small area of sub-tropical chestnut forest, along with unique Sal forest. 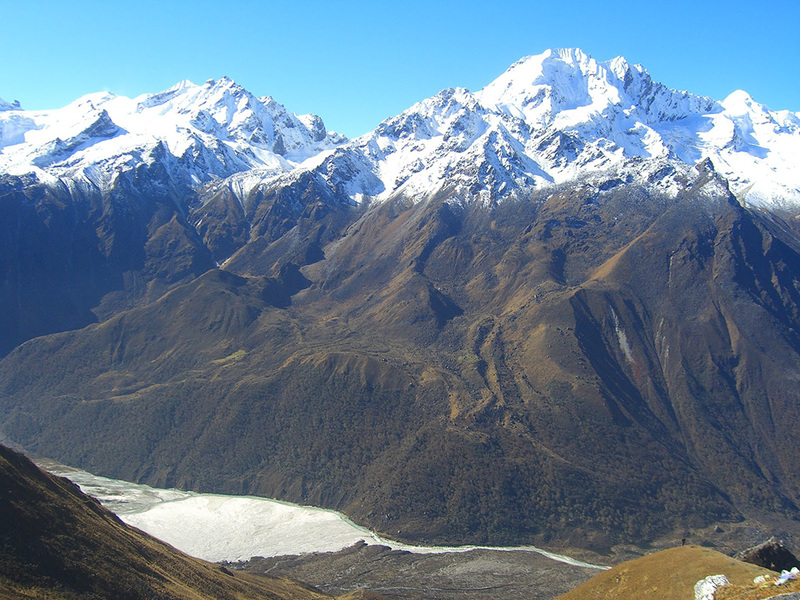 The hill forests (2000-2,600m) across the southern slopes of the park consist of Chir Pine, Rhododendron, Nepalese Alder, and Oak. Moving north and higher, the alpine zone (2,600-3000m) are mainly Mountain Oak, fading to Silver Fir, Hemlock and Larch in the lower sub-alpine zone (3000-3,6000m); throughout these zones, several species of Rhododendron trees form a twisted and colorful understory, continuing higher to tree line Birch and Fir forest are the last to survive. Day 01:Arrive in Kathmandu and transfer to Hotel. Day 02:In Kathmandu with half day tour at places of interest. Day 03:Drive to Syabrubesi 1,460m. 7 – 8 hours drive. Day 04:Trek to Lama Hotel 2,420m. 5 – 6 hours. 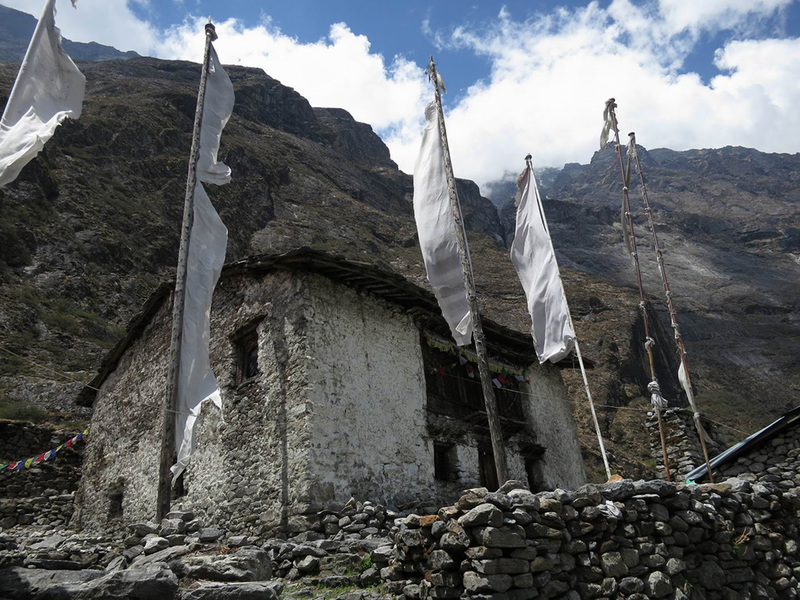 Day 05:Trek to Langtang village 3,430m. 5 – 6 hours walk. 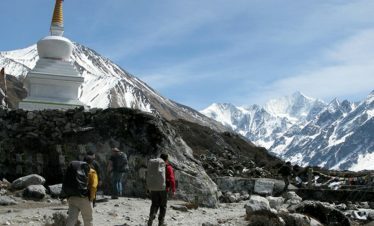 Day 06:Trek to Kyngin Gompa 3,850m. 3 – 4 hours. Day 07:At Kyngin Gompa for local hike and exploration. Day 08:Trek to Lama Hotel 2, 420m. 6 – 7 hours walk. 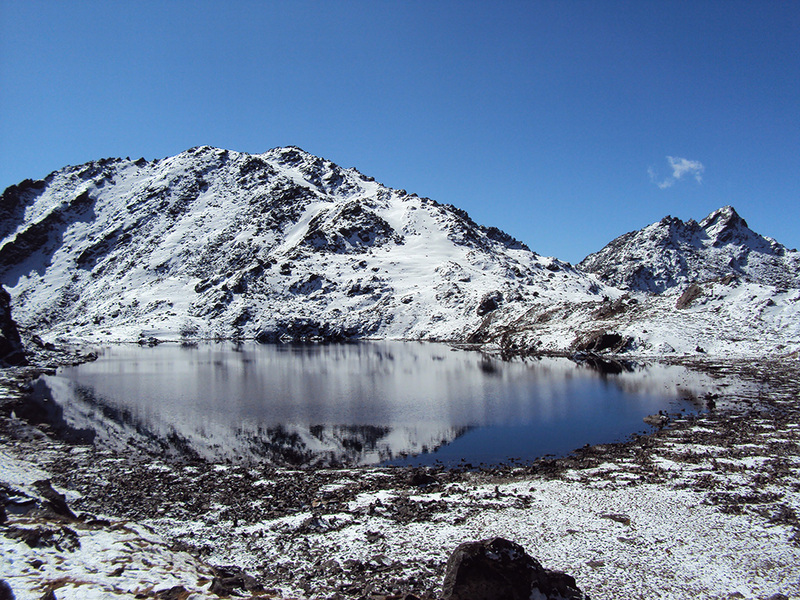 Day 09:Trek to Syabrubesi 1,460m. 4 – 5 hours walk. Day 10:Drive to Kathmandu 6 hrs journey. Day 11: In Kathmandu free day. After your first night in Kathmandu, you will be well informed on arrival about the time for your half day guided sightseeing tour in Kathmandu at places of interest if booked. Day 03: Drive to Syabrubesi 1,460m. 7 – 8 hours drive. Morning drive to Syabrubesi, the bus ride takes you to the winding uphill and downhill road, the drive passes to many rural town and farm villages the bigger town on route is Trisuli Bazaar, this place lies in the sub-tropical climatic zone the road from here climbs uphill to cooler region leaving the rice paddy behind to maize and millet terraced fields as the weather changes with the culture and the people as well, on arrival at the entrance of Dhunche 1,780m, a major town of Langtang area and Rasuwa district within Langtang National Park. From here journey continues further downhill for 1 – 2 hours till Syabrubensi village is reached for the overnight stop. Day 04: Trek to Lama Hotel 2,420m. 5 – 6 hours. The trek from Syabrubesi with few up climbs for a while but the rest of the walk is gradual on the winding trail through the terraced farm fields and villages, as the trail descends and joins the path coming from upper Syabru at the Riverside Lodge near the place of Bamboo, from here another hour of good gradual ups leads to overnight stop at Lama Hotel, an ideal spot with time for a refreshing splash in the nearby river. 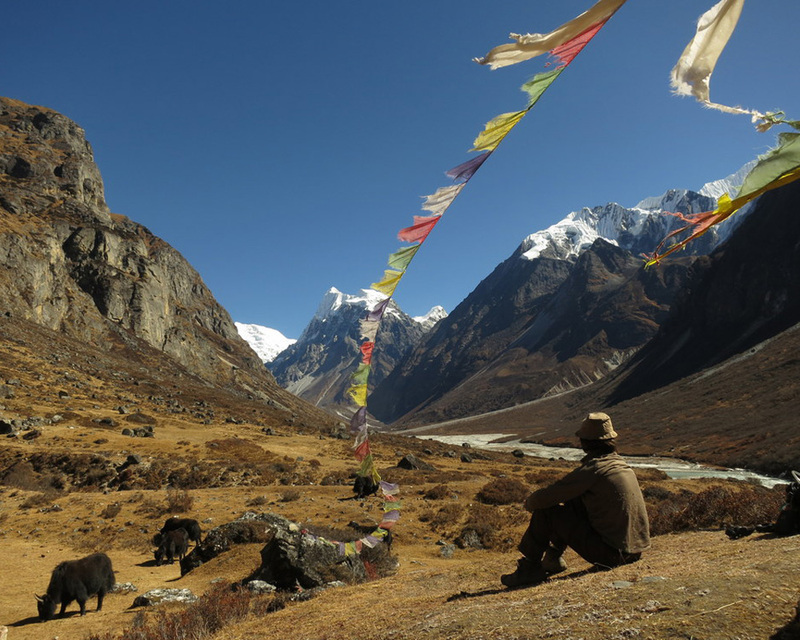 Day 05: Trek to Langtang Village 3, 430m. 5 – 6 hours walk. The trek leads to a cool forest in the gorge following the torrent glacial river Trisuli upstream, the walk is more or less an uphill climb in the cool shade of rhododendron and oaks forest after three hours trek brings you at Ghore-Tabela in the midst of the forest of pines, hemlocks and rhododendron from here onwards you can feel the altitude also. Ghoretabela in Nepali it means horse-stable, in the early days the people from Langtang as far as from Kathmandu use to trade with Tibet by the accessible route to Tibet-Nepal via Kiayrong and use to bring large number of Tibetan ponies, after a pleasant stop trek continues for a short hours on the trail to Langtang and its beautiful valley, walking through the cool shade of the alpine wood for an hour, leaving the tree line behind. 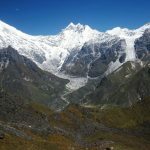 The path leads uphill for an hour, then the walks get better on the gradual winding trail with few ups and down till Langtang village is reached for the night stop, visit the villages with a glimpse of Langtang Himal peeping in the north on top of the great rock wall. 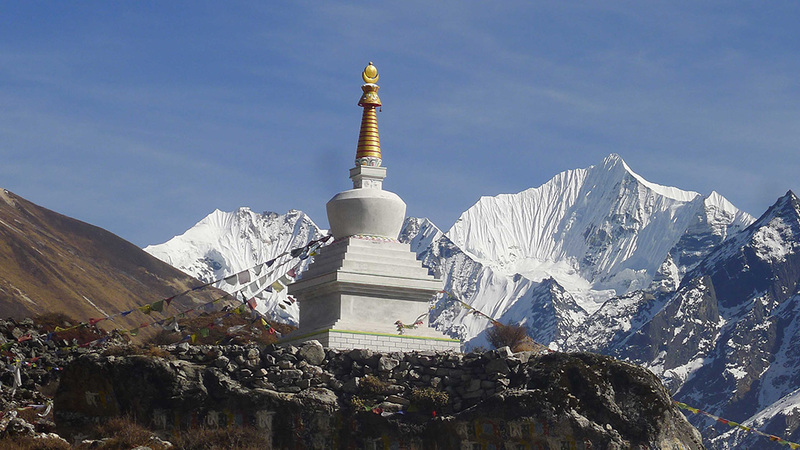 Day 06: Trek to Kynging Gompa 3,870m. 3 – 4 hours. From Langtang village morning walk leads on the gradual path for a short while, then the trail winds uphill for few hours through the prickly Burberry and high alpine shrubs, and encountering “mani-prayer wall” where walking in the clockwise direction is the positive way of respecting the local culture and religion, the walk leads further east the valley opens up and then walking on the grassy meadow with views of snow-capped peaks in the distance. 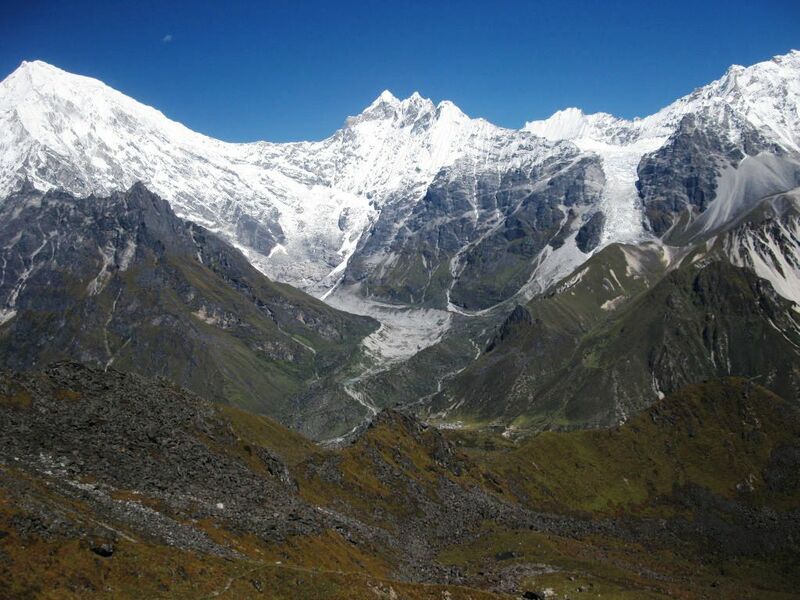 The trek is pleasant and can be strenuous due to altitude gain to our destination at Kyngin Gompa, a scenic charming spot with peaks in all directions, the closest peak Langtang Lirung of over 7,000m and its icefall just at leisurely distance from the lodge, Kyngin Gomba with a small old monastery located on the ridge top formed by glacial moraine of rocks and boulders, at Kyngin Gomba area there are many lodges and a cheese factory. Day 07: Rest-Day for a hike around. 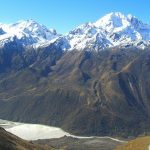 A free day an optional short walk at the hill called Kyangin Ri 4,700m for a panoramic view of the surrounding peaks, visit the cheese factory with rest of the day at leisure. Day 08: Trek back to Lama Hotel 6 – 7 hours walk. 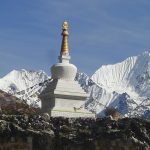 After a wonderful time at Kyangin, journey heads back on the same trail to Lama-Hotel. 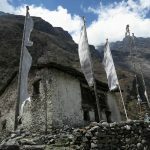 Day 09: Trek to Syabrubesi 1,460m. 5 hours walk. The trek today follows the same route for an hour, then after the bridge the walk is pleasant through the rain and bamboo forest. Day 10: Drive to Kathmandu from Syabrubesi. After breakfast drive back to Kathmandu on this winding downhill road to Kathmandu with lunch on the way. In Kathmandu at leisure for last minute shopping and please inform our staff for an extra guided tour in and around Kathmandu Valley. Day 12: Transfer to Airport for International departure. 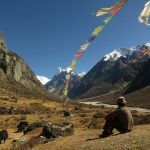 Today as per your international flight time, our staff will transfer you to the airport with complimentary transport for your final departure from this most scenic country, Nepal. Accommodation in 3-star hotel in Kathmandu with breakfast.